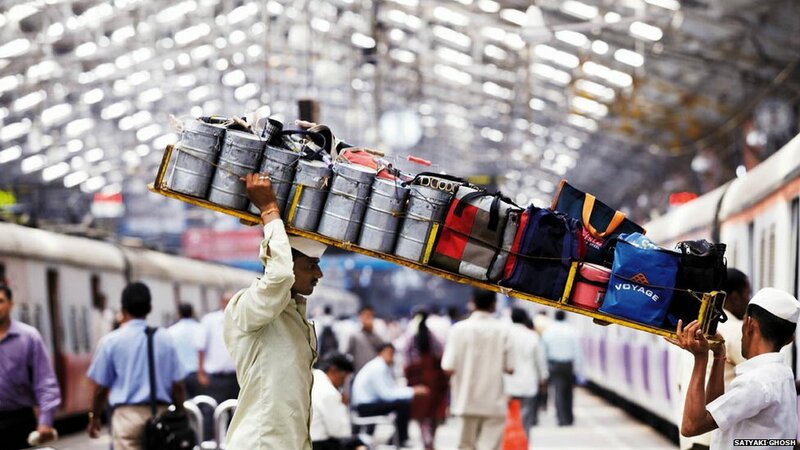 Mumbai Dabbawalas : The best part of being in Mumbai is to have the home made, hygienic food at reasonable cost delivered at your workstation. All thanks to the Ghandi-topi wearing man called Dabbawala. The Dabbawallas (meals on wheels) are saviours who deliver the Tiffin boxes at your work place on time and return the empty tiffin boxes to the apartment that day itself. 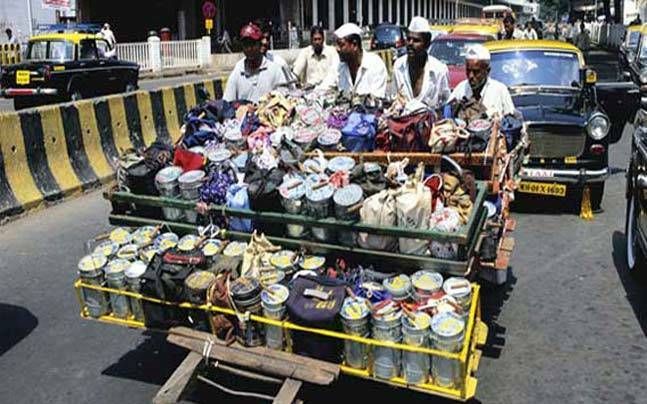 Here are some interesting facts about Dabbawalas of Mumbai. 01. From One to Organization. It all started in 1890 when the British Officers and Parsi bankers wanted convenient lunch. Mahadeo Bhavji Bachche was the 1st who started delivering lunch boxes and soon it flourished in business. In 1956 a charitable trust called ‘Nutan Mumbai Tiffin Box Suppliers Trust’ was registered. 02. 200,000 dabbas they deliver per day! About 5000 Dabbawalas work in co-ordination and they pick up some 200,000 lunch boxes and deliver them to 80,000 destination a day. On the same day latter in afternoon they return the empty boxes to the respective apartments. 03. Only they can do it! Most of the people working as dabbawalas are 8th pass and many have not visited school yet their efficiency and accuracy is praise worthy. They have zero rate of error. They have 6 sigma accuracy i.e, 1% error in 6 million transactions. Dabbawalas have many fans including Virgin Atlantic’s Richard Brason and Prince Charles. Richard Brason travelled with Dabbawalas to deliver lunch to his employee. Prince Charles was so impressed with their service that he invited 2 Dabbawalas to his marriage in London. On his visit to India in November 2003, Prince Charles was supposed to meet Dabbawalas and facilitate them but the meeting only lasted for 20 min at Churchgate as Dabbawalas could not take time off their work. After continuously working for 120 years they went on strike only in 2011 to support Anna Hazare anti-coppution campaign. The luck favoured Mumbaikars as strike was on Parsi New Year, a public holiday in Maharashtra. No computer or any other modern technology yet the error rate are zero. They use colour and group of symbols as the unique identification code. The code includes the origin station name, destination station name, area and address which avoid error. To reduce the cost of delivery, so that people could enjoy homemade food at low cost most of the dabbawalas run on bicycle and train to deliver the lunch boxes. Several documentaries including BBC have been filmed on them. The ‘Lunch box’ movie in 2013 was dedicated to them. A 13 feet long statue designed of stainless steel discs at Haji Ali is the tribute to Dabbawalas by Mumbaikars. They have lso been appraised by prince charles and a business tycoon richard branson who delievered them dabba himself. In order top avoid wastage of food and to make the food available to the needy, ‘Share My Dabba’ practise has been started. The leftover food in the tiffins are distributed among the slum children.